Ogden Appliance Repair | 801-753-1795 | Need It Fixed? Call Now! Ogden Appliance Repair is family owned and operated in Weber County, Utah. Our main focus is to ensure our customers are satisfied after every appliance repair service. We try our best to show our customers how much we appreciate their trust in our business and try to help ASAP. Once you show your broken appliance to our technician, we assure you that it is in good hands. 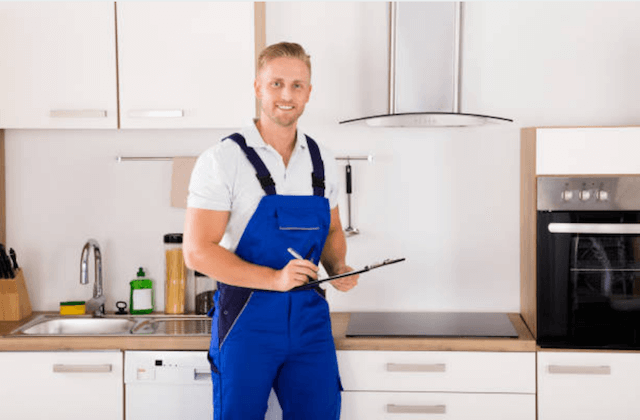 They will handle it carefully and make sure that after the appointment, your dishwasher or stove will be running like new again. We make sure that our technicians go through continuous training and education in order to improve on their experience in appliance repair. Through this training, they learn how to handle both old and new brands and models from popular manufacturers. Our company provides same-day appliance repair in Ogden. We offer appliance repair service for common appliances such as dryers, washing machines, ovens, dishwashers, refrigerators during our first visits to our customers’ homes. LG, Kenmore, KitchenAid, GE, Frigidaire, Maytag, Whirlpool, Wolf, Sears, Sub-Zero, Samsung and Bosch are the types of brands that we offer appliance repair for, among others. Apart from just offering appliance repair, we also include a 12-month warranty on all the parts used during an appointment. We do this in order to guarantee satisfaction to our customers. Take a look at our Appliance Repair FAQ below. 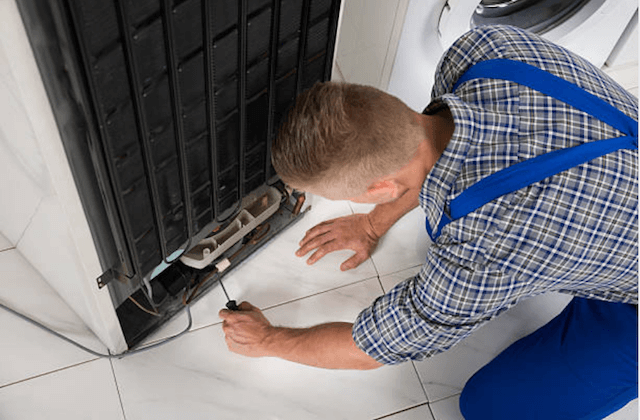 APPLIANCE REPAIR IN OGDEN – INCLUDES REFRIGERATOR REPAIR & MORE! SCHEDULE TODAY: REFRIGERATOR REPAIR IN OGDEN – We schedule appointments for refrigerators and freezers often. We fix all kinds of brands and models. Our technicians fix smart technology, water dispensers, loud noises, touch panels, condensation, ice makers, touch panels, burnt-out bulbs and other parts. Our technicians will troubleshoot thoroughly, identify where the problem could be and fix it. SCHEDULE TODAY: OVEN & STOVE REPAIR IN OGDEN – We fix stoves and range hoods that are broken. Our appliance repair service in Ogden is perfect for both gas and electric models. We also sort out all the problems related to burners, relays, doors, igniters, bulbs, switches and many other parts. Our professionals have all the required tools for the job and all of the skills to fix all types of ovens including the new models within a short period of time. DISHWASHER REPAIR & WASHER/DRYER REPAIR! SCHEDULE TODAY: DISHWASHER REPAIR IN OGDEN – If you have a dishwasher that has broken down, you can schedule same-day service from our company. There are common dishwasher issues that we resolve; they include pump assemblies, solenoids, cloudy glassware, impellers, odors, float switches and other parts. 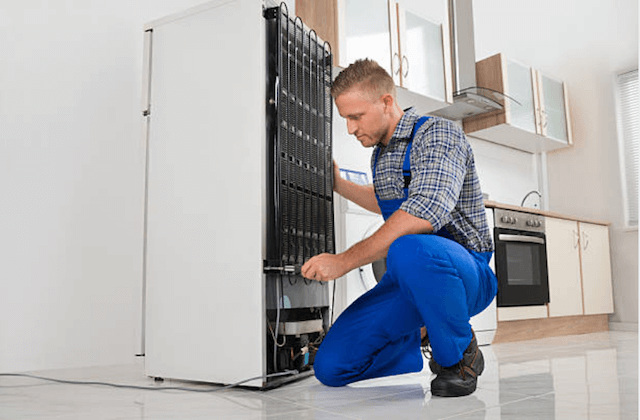 Even though dishwashers are a little complicated and have many issues that interrupt washing cycles, Appliance Repair Ogden professionals will fix all the issues for you. There are also issues that prevent the dryer from drying clothes properly. We can solve those problems too! SCHEDULE TODAY: WASHER & DRYER REPAIR IN OGDEN – A broken washing machine is very inconvenient. Trips to the laundromat can be so tiresome especially for big families that need to clean piles of laundry frequently. Luckily, our technicians have the experience to fix washers and dryers quickly. We solve problems such as noise, door, switch, front-and top-loading machines and agitation, vibration, vent issues and control board. Call now for our appliance repair service in Ogden! “I am so happy I decided to call this company! The owner assured me he could repair our dishwasher at an affordable cost and he did! The dishwasher works great again.” – Caroline I. “The technician finished fixing our and freezer in under an hour. The ice maker was leaking and the water dispenser didn’t work but they had the parts in their van to fix both. I was so impressed!” – Sarah Q. “Great experience!” – Rita A.
Q. BETWEEN REPAIRING AND REPLACING AN APPLIANCE WHICH ONE IS BETTER? A. Once something breaks, it leads to one of two choices. You either hire a professional appliance repair service or replace the machine with a new one. However, repairing a stove or dryer is cheaper compared to replacing one with a new one since it saves you a lot of money. All models have been created with their approximate lifespan and this helps determine if it is time to schedule our appliance repair service or buy a new model. Q. DO YOU OFFER A GUARANTEE OR WARRANTY FOR YOUR SERVICES? A. Yes. During our visits to your home for our appliance repair service, we carry the manufacturer’s parts for several brands in order to preserve the manufacturer’s warranty. 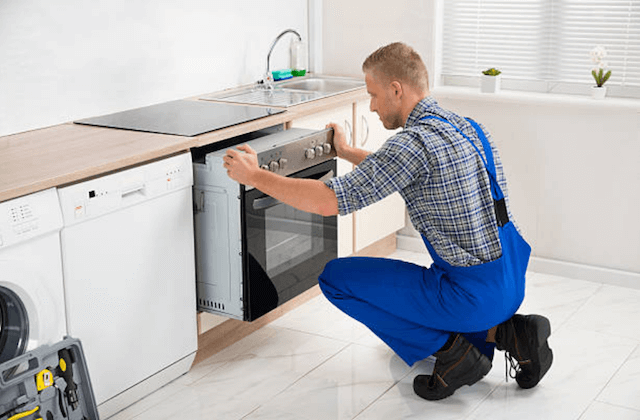 We offer a one year warranty for all the parts we use for appliance repair and labor, thus do not hesitate to call us again if the problems persist. Q. DO YOU FIX APPLIANCES DURING YOUR FIRST VISIT? A. Yes. 95% of our appointments are completed the same day that we are called. For us to achieve this, we load our appliance repair vans with all the common parts for us to spend less time at your home. Q. DO YOU HAVE A TIMEFRAME FOR ALL YOUR APPOINTMENTS? A. Yes. In order for our technicians to have adequate time to get to your place, we provide a waiting period of about 2-3 hours. Additionally, they will call you 15 minutes away from your home for notice. Q. DO YOU HAVE A LIST OF ALL THE BRANDS THAT YOU REPAIR? A. Yes. We offer service for almost all the popular name brands. If you fail to see the name of the brand that you have from the list we have provided below, you can call us and we will order for you the required parts that will help us complete appliance repair. CALL FOR SAME-DAY APPLIANCE REPAIRS IN OGDEN!